Pro-EU lawmakers challenging the government's Brexit strategy have received repeated death threats, and at least one MP recently decided not to rebel on a bill for fear of reprisals. However, the government has made a decision to suspend this tradition for the crunch vote on the "meaningful vote" amendment, meaning ill MPs must overcome their sickness to physically take part in the vote. Six Conservative MPs did still, however, vote against the government and back the amendment. May's government is divided between Brexit-backing ministers such as Foreign Secretary Boris Johnson who support a clean break with the European Union, and those such as Treasury chief Philip Hammond who want to keep closely aligned to the bloc, Britain's biggest trading partner. With both sides claiming victory, it is not always easy to establish who or if there was a clear victor; ultimately, however, Mrs May kept the core of the Brexit Bill the same. UK Prime Minister Theresa May won a crucial Brexit vote in parliament on Wednesday, keeping her deeply divided government's plans to end Britain's more than 40 years of partnership with the European Union on track. However, it is important to note that this is only the beginning of the beginning of the legislative Brexit process, and the Trade and Customs Bills will come back to the Commons soon. Sound familiar? There are echoes of the row over Holyrood refusing to give consent to the EU Withdrawal Bill and Whitehall ploughing on in the face of it. "We can not accept the amendment on (a) meaningful vote agreed in the Lords". This vote would be on a "neutral motion", however, meaning it would not be open to any amendments that might force the government into a course of action. Labour's shadow Brexit secretary Sir Keir Starmer described the result as "disappointing", accusing the PM of "buying off her own MPs at the eleventh hour". 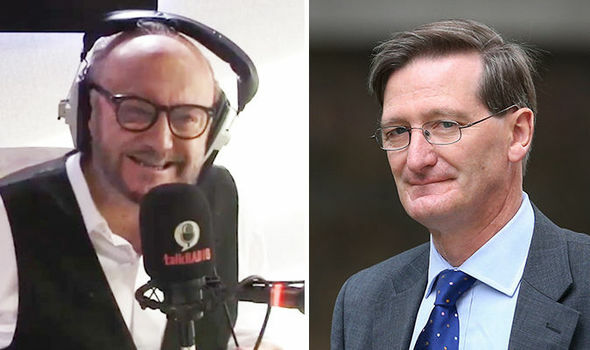 The vote came after the rebels - led by former attorney general Dominic Grieve - accused ministers of reneging on measures which they believed had been agreed to stave off a rebellion last week. Mr Verhofstadt said the agreement had to be published by the end of 2018 at the latest, to give the European Parliament enough time to ratify before the United Kingdom formally leaves the EU in March.